Forever Emma is a website dedicated to bring you info all about Emma Watson, the amazing girl who plays Hermione Granger in the Harry Potter films. My goal is to provide you the latest news, all the information, interesting facts, rumours, secrets, etc. about the real girl Emma and the character Hermione. This site also includes interact, media and information about the Harry Potter movies and some co-stars. I realize how many webmasters put false information or fake pictures on their sites, and all the fakes that are on the net, and I am hoping that this one is a fan site that will try to put a stop on it. I also realize that Emma is a normal girl with a regular life and I try to bring that notice out to the public (for more information visit section Website's Editorial and Disclaimer). I really hope you enjoy this website. Thank you for visiting it and come back soon. Hello, I am Amanda, the webmistress of this website. I've got an important message for you. This website is no longer updated, I abandoned it a few years ago because I am no longer so interested in Harry Potter nor Emma Watson. I used to manage it years ago, I started it when I was 11. I am 18 now, so as you can image my personal tastes have changed a little. However, I won't close this website for many reasons: it was really hard-work doing, it's not so bad and can still help Harry Potter fans, and it meant a lot to me a during my teenager years. I wanna say THANK YOU to all the people who are still supporting this website, for those who signed in at the guestbook in the past months and everyone who still visits it. If I ever change my mind, I will post it here of course. : participate in writing to Emma in name of the site! Forever Emma is a dedicated website to bring you info all about Emma Watson, the amazing actress who plays Hermione Granger in the Harry Potter films. My goal is to provide you the latest news, all the information, interesting facts, rumours, secrets, etc. about the real girl Emma and the character Hermione. 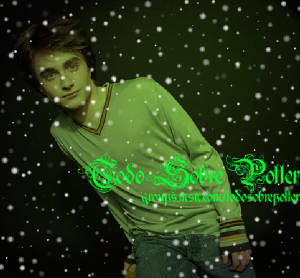 This site also includes information about the Harry Potter movies and some co-stars. I also realize how many webmasters put false information or fake pictures on their sites, and all the fakes that are on the net, and I am hoping that this one is a fan site that will try to put a stop on it. I realize that Emma is a normal girl with a regular life and I try to bring that notice out to the public (for more information visit section Website's Editorial and Disclaimer). Enjoy the site and thanks for visiting it! December 30th: I have posted a few comments about Emma&Dan and Emma&Tom. Also, there is this new project about writing to Emma in name of the site. If you are interested click here. There is another project, about writing to Emma for her birthday. For more information, click here.